Transform the look and feel of your home with aluminium plantation shutters. Our locally made aluminium plantation shutters are perfect for any home. Light and privacy are controllable with the shutters louvers. With your shutters closed you have total privacy. Open your shutters up and enjoy the light and breeze coming in. Shutters suit your home and your lifestyle. Aluminium Shutters have excellent heat and moisture resistant properties meaning they are suitable for wet areas including bathrooms. 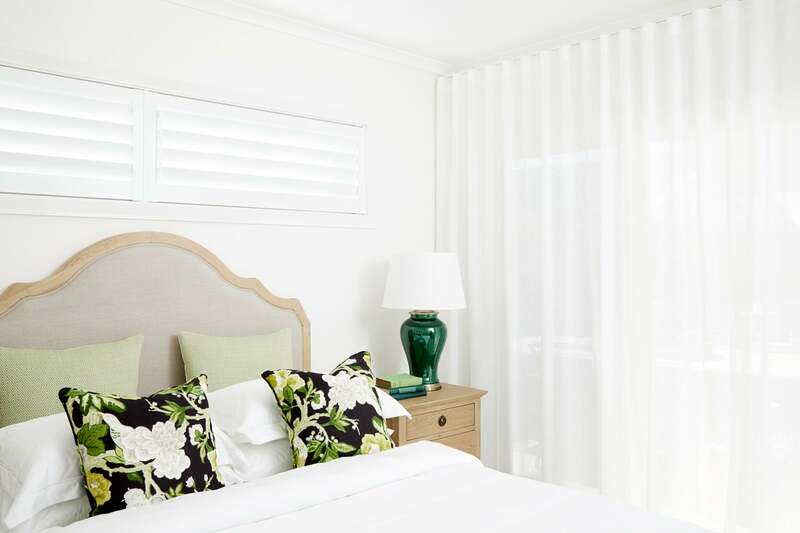 Highly durable aluminium plantation shutters are a more affordable alternative to timber shutters. At Classic Blinds and Shutters, we provide the highest quality plantation shutters to suit a range of internal and external spaces. Servicing areas across the Newcastle, Maitland, Lake Macquarie, Port Stephens and the Hunter Valley regions, our friendly sales representatives will be able to visit your home and offer quality solutions for your space. 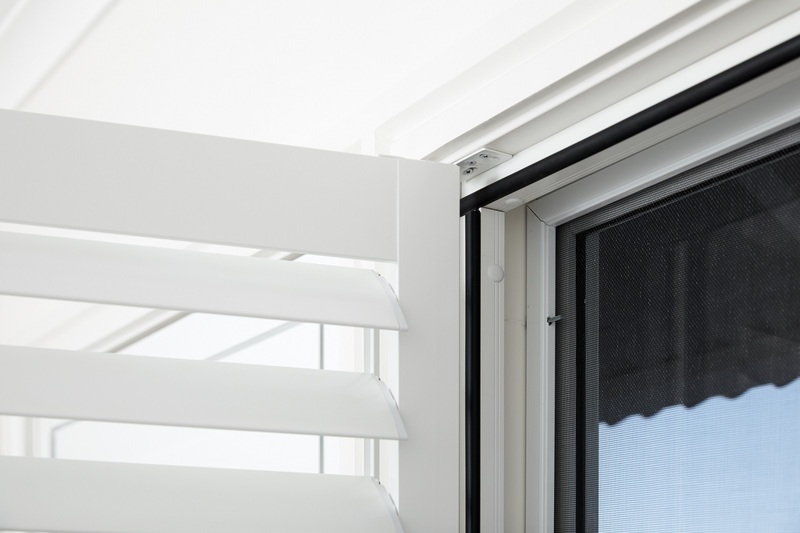 Our locally made Aluminium Shutters are manufactured using the highest-grade aluminium available as we pride ourselves on producing quality, durable window coverings. Choose to add our double lock system and you will have extra peace of mind regarding security. Aluminium plantation shutters are much more attractive than grilles or bars and just as effective. Sleep easy and be worry free. Aluminium plantation shutters are extremely hard wearing and suitable for interior and exterior spaces. The Classic Blinds & Shutters superior powder coat finish means they are not susceptible to water damage or mildew. They are great for families with young children and pets and a durable option for rental properties. All our aluminium plantation shutters are made locally at our manufacturing facility in Cardiff, Newcastle. They are perfectly crafted for Australian conditions and your home. Aluminium plantation shutters provide a practical solution to any space or application. Their clean lines and excellent insulation properties not only make your interior look good, but also save energy. They will keep your home cooler in summer and warmer in winter. Our unique Eco sealed framing system is used for installations of aluminium plantation shutters to keep your home even more comfortable. Was very impressed with the outcome..
Just installed shutters and curtains for a new build. Was very impressed with the outcome, just beautiful. Thank you to all the staff who made this possible with such professional and courteous service and advice, outstanding. Excellent to deal with. Always on time and willing to listen to what I needed. Worked with me to find the best solution within my budget as well. The work was professional, neat and tidy. All contact was polite and the quoting, measure and installation guys were terrific. Thank you again. The rooms look great now. Want Plantation Shutters but not sure if they are affordable? You have done your research and know that plantation shutters would be great for your new home. You’ve found out that they are fantastically durable for family homes. You know they are easy to clean, adjustable for heat, light and privacy. Know you can leave a window open at night and not get woken by any rattle. This is your top pick to finish the look of your new home. But, can we afford them? They look expensive and it seems like there are so many options to choose from. We were aware that there were a lot of extravagant claims circulating, regarding the impact window coverings can have on energy bills. We commonly saw “Reduce energy bills by 80%, 70% or 40%“ and wanted to test the possible accuracy of these claims and use the results to develop and improve our understanding of how window coverings impacted on heat gain or loss and light block out. With this improved understanding, we would be able to advise clients more effectively and improve our own product range.